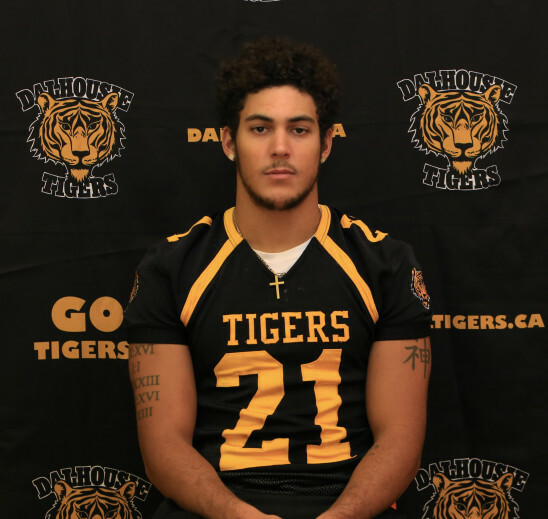 The Dalhousie University men’s football team is undefeated in the regular season for the second time in three years. This season Dal scored 195 points, 21 points ahead of the second closest team. 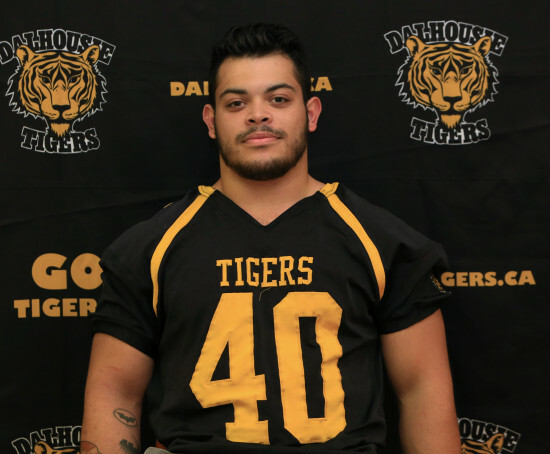 A lot of that has to do with the success of Dalhousie’s two running backs: Zacchary Kuhn and Jason Watts. Zacchary Kuhn. Provided by Dalhousie Tigers Football. Both of them play different roles on the team. Kuhn is a fast player who is used when Dal needs a lot of yardage. He runs about 7.33 yards per carry and has five rushing touchdowns. Haggett calls him the lightning. The thunder is Jason Watts. He has a solid build of 5’9 and 205 pounds. He is used when Dal needs a runner to smash through the defensive line and get some hard yardage. He has 5.7 yards per carry with two touchdowns. The two of them create a dynamic duo and benefitting the Tigers offence. The strong run game keeps the opposing defence guessing if Dal is going to run or throw the ball. Having two great running backs means one is always fresh. If either of them is exhausted from a big play the other one can easily take over. Jason Watts. Provided by Dalhousie Tigers Football. They’re great friends both on and off the field. “Three quarters of the success of our run game is thanks to them for sure,” says Watts. Haggett said that for two players that have a lot of success, they are remarkably humble. When asked about their success this season, Kuhn and Watts gave their teammates, coaches and each other all of the credit instead of themselves. Kuhn is looking to joining a U Sports team after this season. Dalhousie’s program is a club team and not a top varsity team, therefore they don’t play in the highest division and can’t offer scholarships. “I would love to stay here if they have a (U Sports) program here, but I got to go as far as I can,” says Kuhn. Haggett doesn’t have a problem with players seeing Dalhousie as a developmental opportunity for playing a higher level of university football. He said when they recruited Kuhn, they had the understanding he would want to branch out to a higher level. Scholarships are a big part in a player’s decision to uproot from Dal and play somewhere else. At the time of writing, the Tigers are starting their playoffs. If they’re going to have success, Kuhn and Watts will be a big part of it.